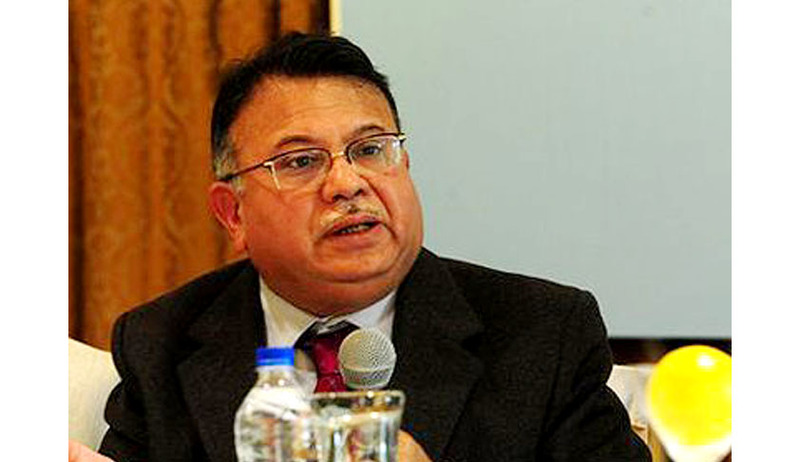 Law Commission of India Chairman A.P. Shah has reportedly recommended three changes in a note titled ‘A Judicial Appointments Commission for India: A Proposal’ to the Union Law Minister Ravi Shankar Prasad. The three changes are: Retirement age of 65 for both Supreme Court and High Court Judges, a cooling-off period for judges after retirement, before they take up any post offered by the Government and a fixed tenure of two years for the Chief Justice of India. The note has the Law Minister as the sole representative from the government side “to ensure that the executive has a meaningful voice”. The step of fixed tenure for CJI is recommended to be implemented from August 26, 2022 after the junior-most judge currently serving in the Supreme Court, and who is slated to be CJI, retires. Justice N.V. Ramana, presently a judge in the Supreme Court, if appointed as the CJI will retire on August 26, 2022. According to him, the three changes are “intertwined” with the “overhaul” necessary in the process of judicial appointments. The meeting between Law Ministry and eminent jurists also reached an absolute consensus that the collegium system should be done away with. The BJP-led NDA government assured that it would not be a path back to the pre-collegium days, denying Executive takeover of judicial appointments. The purpose of exercise was to ensure better transparency in the system, to enable the best of Judges to enter the higher judiciary. The collegium system started after 1993, replacing the system of government picking judges for higher judiciary comprising the Supreme Court and high courts. This move would however require a Constitutional amendment. An earlier such effort by the NDA-I Government in 2003 didn’t achieve success. The then NDA government had introduced a Constitution amendment bill but Lok Sabha was dissolved when the bill was before a Standing Committee. Finance Minister Arun Jaitley was the Law Minister then. The meeting saw parliamentarians and retired Chief Justices of India participating along with Union Finance Minister Arun Jaitley and Law Minister Ravi Shankar Prasad, Law Commission Chairperson Justice A.P. Shah, Attorney-General Mukul Rohatgi and Solicitor-General Ranjit Kumar attended. Some of the eminent jurists who participated include former Chief Justices of India V.N. Khare and A.M. Ahmadi, and K. Parasaran and Fali Nariman, among others. The retirement age of Supreme Court judges was increased to 65 as an “incentive” for High Court judges to leave the comfort of their hometowns and come to New Delhi. This guaranteed them additional three-year tenure. However, the inducement was no longer relevant. The meeting saw the discussion regarding setting up of a Judicial Appointments Commission (JAC) as a permanent, Constitutional body to replace the Collegium system. JAC should be a seven member body, with the CJI as the chairperson and three Supreme Court Judges. It also recommended that the JAC should have a full-time” Secretariat headed by a retired High Court judge and a “small investigating team” to verify the antecedents of the proposed candidates. This will do away with IB investigations. The Narendra Modi government plans to bring the Judicial Appointments Commission Bill in this session of Parliament. It was suggested that the JAC would interview the candidates in-camera; have the entire process “publicly disclosed” with adequate safeguards in place to protect candidates' privacy; and publish annual report on appointments made to guarantee transparency. The JAC's proposal of a candidate is “ordinarily binding” on the President. The meeting also led to recommendation to prolong the implementation of the amended SC rules 2013 which is scheduled to be implemented from August 19, 2014. This was done in order to hold “effective and comprehensive” consultation over the new rules with lawyer’s association. Read the Live Law story here.